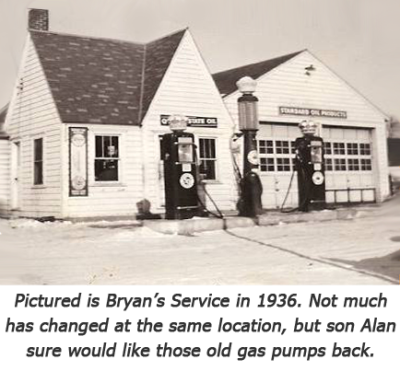 The days of old-fashioned auto repair service still exist at Bryan’s Service in Winsted, Minnesota. 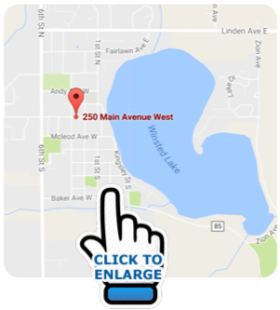 250 Main Ave West in Winsted, MN since 1954 under the ownership of son, Alan Cafferty. The Cafferty’s maintain that “Good Ole Days” feel of back when staff was friendly, the technicians both skilled and honest, and you didn’t necessarily need a special to get a good deal. Come experience the difference at Bryan’s Service where modern know-how is coupled with hometown service … give Bryan’s a call at (320) 485-2228 or schedule an appointment. in Winsted, Minnesota since 1935. Our shop employs honest ASE-certified technicians and mechanics, and we use the latest technology and equipment for our repairs. Because we are a certified NAPA AutoCare Center, we are able to provide the benefits of an established national company while offering the personal touch of a local business. We understand that your vehicle is a major investment, and that is why we care for each customer’s vehicle as if it were our own. Please be sure to go to our Shop Specials section for our current promotions and specials. Come by and visit our clean and professional shop in Winsted, MN. Bryan's Service LLC is a NAPA AutoCare Repair Shop for Cars and Light Trucks in Winsted Minnesota, approx. 45-miles West of Minneapolis. Bryan's proudly provides automotive services for Cokato, Howard Lake, Waverly, Montrose, Watertown, Mayer, New Germany, Silver Lake, Lester Prairie, MN. and surrounding communities.